Thomas Dunne Books, 9781250052414, 240pp. LEE ROBINSON practiced law for over 20 years in Charleston, S.C., where she served as executive director of a legal services agency and later worked in private practice, concentrating on family law. She was elected the first female president of the Charleston Bar Association and received the Bar Association's award for her work in public interest law. She lives on a small ranch in the Texas hill country. 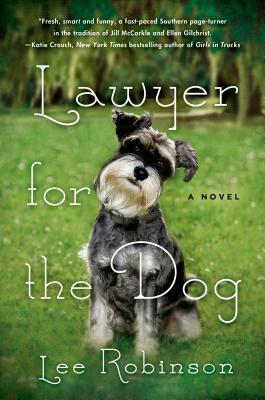 Lawyer for the Dog is her first novel for adults.